We’re moving to a post-digital era where the digital playing field is evening out, at least, that’s the key message behind Accenture’s new report, Technology Vision 2019. The research finds that most businesses have heavily invested in digital transformations over the past few years, which means that what was once the source of competitive advantages is now the new norm. Therefore, to stay ahead of the pack, companies must keep looking for the next competitive advantages. 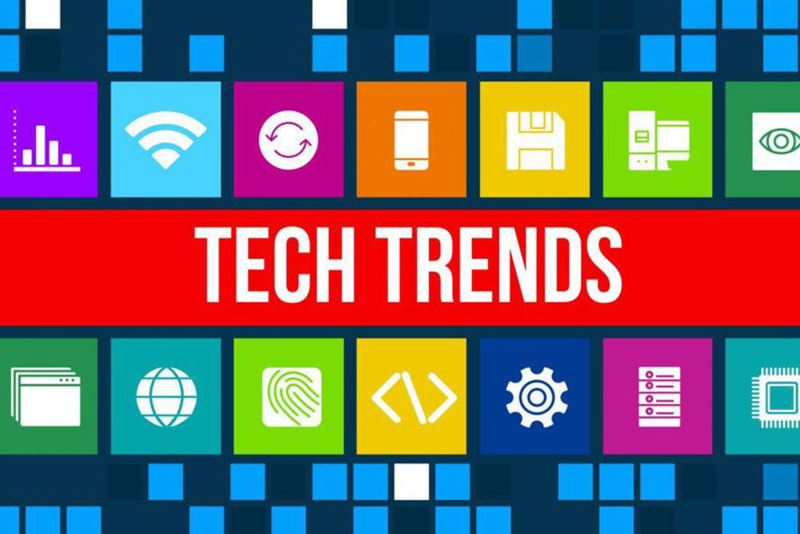 To help companies understand the technology trends that are likely to prove disruptive over the next three years, it has just published their latest annual Technology Vision report. I spoke to Michael Biltz, MD of Accenture Technology Vision, who told me that most global businesses have now adopted data-driven, smart and transformative technology into their core strategies. As a result, they are now looking to further develop their competitive edge by looking beyond headline-grabbing buzzwords. With over $1.1 trillion invested by industry in digital transformation during 2018, there’s a feeling among industry leaders, according to Accenture’s findings, that many are well on their way to attaining what they set out to achieve. For most, this involves moving to data-driven business models where decisions are made based on the huge volumes of up-to-date, fast-moving information generated by organizations in today’s digital world. “What we’re realizing is that the world looks fundamentally different when you’re talking about every single company using technology to execute their strategies … to optimize their business and also as a catalyst for new things,” Biltz says. This is what he means by a “post-digital” age – companies are no longer able to differentiate themselves by the fact that they are fully engaged with social, mobile, analytics and cloud (SMAC). Instead, they must create stories around how they are using them more efficiently, or innovatively, than their competitors. The report identifies four technologies, abbreviated to DARQ, that will be the catalysts for change in the post-digital era. These are distributed ledger technology (such as blockchain), artificial intelligence (AI), extended reality (including virtual and augmented reality), and quantum computing. Businesses that are going to thrive over the coming years will have to master these technologies and identify how they can best leverage them to boost their performance. The vision is that as these technologies develop further and increasingly converge, they will enable businesses to build on their digital investments in order to offer more intelligent experiences that are highly customized for specific customers in specific moments. Accenture’s vision is that in the post-digital era, companies will move towards a greater granularity in their understanding of customers. Based on people’s digital identities, businesses are able to develop ongoing, personalized relationships in order to deliver rich, individualized products and services. Companies that can understand consumers based on their unique digital identities can cater for an ongoing, experience-based relationship with every individual customer. Of course, this raises one glaring question – how will consumers react to ever-more in-depth and personal profiling and customization of services based on what could be very personal and valuable data – our day-to-day activities and information on the products and services we engage with. The key here, according to Biltz, will be building trust, and whether or not a company manages this will be make-or-break in the world of the near-future. Businesses will strive to find the socially acceptable line – how much information they can collect and what they can get away with doing with it. And it’s true that this line won’t be set in stone, and it won’t be the same for all of us. People are now using technology in their everyday lives to enhance their skills and experiences. In the workplace, this offers companies opportunities to reimagine work and augment working environments with technology in a way to boost human performance. Biltz states: "Today's workers are empowered not just by skills and knowledge, but also tech-driven capabilities. We call this the "human+" workforce." The report calls for businesses to empower workers to become human+, where a new set of technological capabilities are integrated alongside people's own skills and expertise, and where companies foster a continuous learning culture. The issue is that more than two-thirds of the 6,000 respondents to the Accenture survey believe that their employees are more “digitally mature” than their organizations. This results in situations where employees become frustrated as they wait for the infrastructure they rely on to do their job to catch up with their own technical proficiency. “We’re starting to create a new workforce that’s dependent on technology, and constantly learning technology, but it’s created a new digital divide that says most companies, while creating these new jobs, haven’t changed the way they find, train and support workers, and even how they manage the knowledge and info these new workers are creating,” Biltz says. “Just as important, if somebody’s in a role for a year, who’s maintaining all of the knowledge that they learned in the year … how are they capturing best practices, connections, networks … all the pieces fundamental to getting things done? "Our workers have gone through their own digital transformation, and it's not just the products and services of a company that are transforming, it's the workers and the structure and organization of the company that supports them." The increasing digitization of businesses, combined with the fact that they operate in evermore connected ecosystems, make them vulnerable to cyber attaches at unprecedented scales. Instead of focusing only on internal risk management, companies must look at their entire ecosystem and spread and share responsibilities, creating security partnerships. The research confirms this, with 87% of business and IT executives agreeing that if they want to be truly resilient, organizations must rethink their approaches to security so that it not only defends their own business but their entire ecosystem. Blitz states that "Cybersecurity is no longer an individual company effort. It needs cooperation with ecosystem partners." In the post-digital era, every moment will become a market opportunity. We are already used to businesses like Amazon or Netflix that provide us with personalized recommendations. But ever-increasing levels of customer insights mean business will become more adept at reconfiguring products and services in near real-time to capture "momentary markets." The opportunity for businesses is to offer their customers highly customized and on-demand experiences to fulfill customer needs as they arise in a moment. For this, companies must combine real-time analytics capabilities with sophisticated back-end systems to capture and deliver to customers exactly what they need, when they need it. “Whether we’re trying to get across town, get to our jobs, pick up our children, exercise and make ourselves more healthy … all those things represent small moments in our lives,” Biltz explains. Understanding our behavior in enough depth to capitalize on these momentary markets will be the next goal in personalization and individualization of products and services, according to the Vision 2019 report. This is supported by two particular findings – with 83% of executives surveyed stating that digital demographics give their organizations new ways to identify unmet customer needs, and 85% agreeing that bringing together customization technology and real-time analytics will constitute the "next big wave" in competitive advantage. The full Accenture Technology Vision 2019 report can be found here.